Titus is an American dark comedy sitcom that debuted on Fox in 2000. The series was created by its star, Christopher Titus, Jack Kenny, and Brian Hargrove. 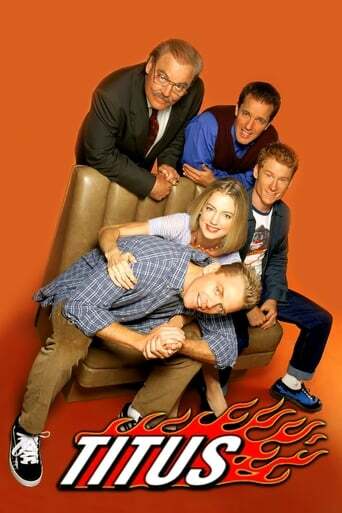 This sitcom was based on Christopher's stand-up comedy act, more specifically his one-man show Norman Rockwell is Bleeding, which was based loosely upon his real-life family; lines from Norman Rockwell is Bleeding were spoken by Titus as commentary. Titus plays an outwardly childish adult, who owns a custom car shop. The show follows him and his dimwitted halfbrother Dave, his girlfriend Erin with the "heart of gold", his goody-goody friend Tommy, and his arrogantly lewd, bigoted and multiple-divorced father Ken "Papa" Titus.